Hi everyone, I am here with another review. This time of the Kowa 8×33 Genesis binoculars. A quick preface; as always with my reviews I simply borrowed something from the guys that manufacture them and used them as I would out in the field. I have not received a free pair to keep and there were no conditions of the review other than I return them in good working order. 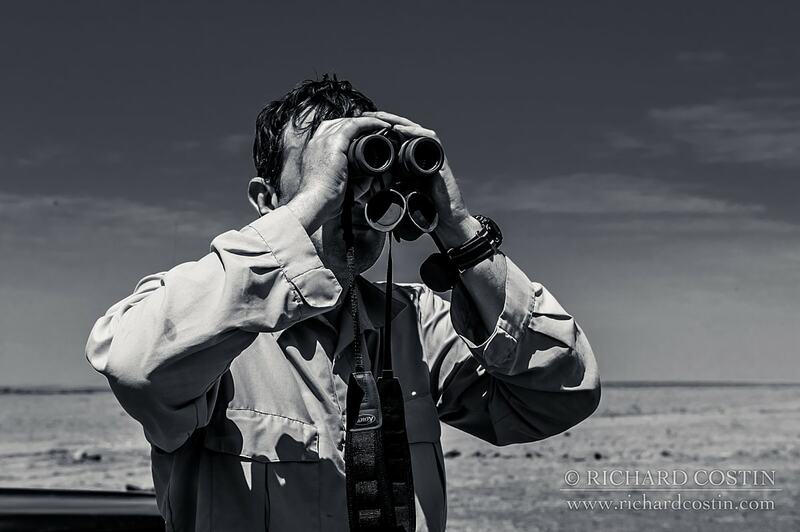 Out in Africa I almost always have access to several pairs of differing top end binoculars as my guests often come very well prepared and this time I had the opportunity to compare them to my guide Patrick’s Swarovskis. The first thing that interested me about the Kowas is that whilst certainly not cheap, they are a significantly more affordable than the big brands and I had heard lots of talk regarding their equal or even better performance. You often pay for the name and with Swaro’s, whilst they are certainly amazing optics (and the really are) I always got the sense there is an extra price premium just so you can dangle them around your neck and show the world (if you have ever been to the Rutland bird-fair you will know what I mean). Kowa on the other hand (judging my the lower price), don’t seem to have this poser tax and if they can equal the big boys then it’s a no brainer. Big if though! Followers of me and my gear know I am a big fan of the 10×25 compacts from Kowa. I rated those the joint best from all the brand’s compact models I tried and I tried all the brands. It was a tie with the high end Leica’s which were twice the price. Well due to some missed sightings in very poor light on one of my trips I decided to accept the bigger size and weight and get a pair of larger bins. The classic ‘alpha’ brands that have the big names are Leica, Swarovski, Zeiss and the like. Kowa, whilst well respected are a smaller Japanese company and given the performance of their tiny travel binoculars I had high hopes for the big pair. So firstly thanks to Kowa for the lend on my recent Africa trip. On first examination I was pleased to find that they had the same, excellent rubber armour as my smaller 10×25’s. Plenty of grip without feeling sticky. No need to grip them with an iron fist as they won’t slip from the hand and more importantly they stay put on the dashboard as Patrick (good friend and guide in the Mara) does his best to eject me and my gear out the side of the car when we spot a Leopard in the distance. Their size will feel large if you are only used to small compact pairs but a great balance of size and weight for a ‘real’ pair. Eye cups work amazingly. Very comfortable and perfect eye relief for me (this is a very personal opinion as everyone’s face is different). I don’t wear glasses but my father (who does) said they worked well. The cups are pretty rigid but soft enough to not cause ring marks around your eyes. They lock into place well and have several lock points so you can tune them to taste. At not point throughout the testing did I experience any discomfort even with extended viewing. The focus ring. This is hands down, the best focus ring I have ever used. Made from metal with very (very) fine ridges etched along it’s length. Big and chunky, smooth enough to give you no troubles hitting that sweet spot yet with enough resistance to prevent any slips or overshoots with the rotation. You can tell a lot of testing has gone into this because it is spot on. It has weight and precision to its feel. Love it. Love it-Love it-Love it! In contrast the Swarovski wheel is plastic (sorry for singling out the Swaro’s but there were the pair I had to compare). 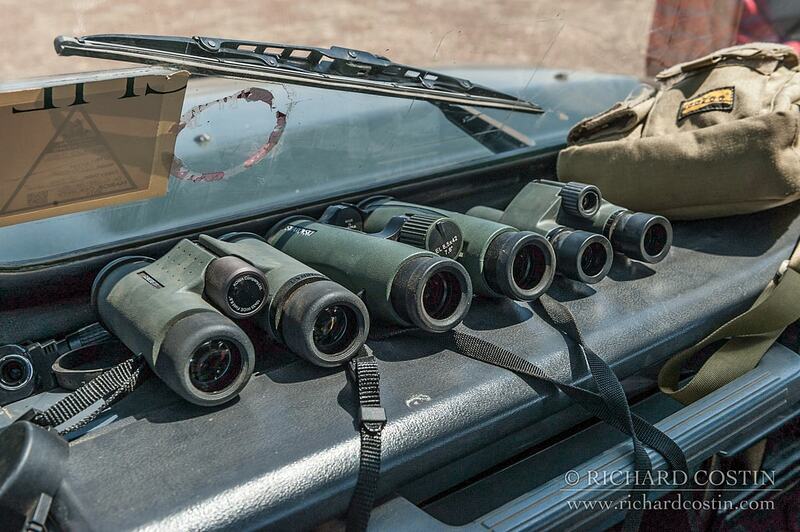 These bins feel good in the hand but it is the focus ring that gives you the first clue as to the intent of these binoculars, that is to be right up there with the big boys and come out swinging. The view through these is spectacular. Crystal clear, bright and after pulling out all the sneaky tricks to see some chromatic aberration (the distracting colour fringing along the edges of high contrast edges that you don’t want) I could see literally none. None! Even with the dreaded tree against bright white sky method. I thought for a moment there may have been a hint of green in the most extreme test I could muster but it was touch and go if it was there or not, to the point whereby it basically isn’t. This was in contrast to the Swarovskis which genuinely surprised me as to how much purple fringing there was. Only in the corners on bright edges to be fair but very visible and frankly, especially compared to the cheaper Kowas, unacceptable for their price. The Swarovskis were a touch brighter, but they are the bigger x42 model with a brighter spec so that is to be expected. It wasn’t a night and day difference and I highly suspect the equivalent smaller swarovskis would be no better than the Kowas. I will hopefully test the even bigger Kowas at some point which would probably even the score in this respect. Balance and hold is again top drawer. There have been no flash embellishments to attempt to look high tech or stylish for the sake of it. Subtle, simple yet deliberate design is here. Small grooves on the underneath to guide your thumbs are there. 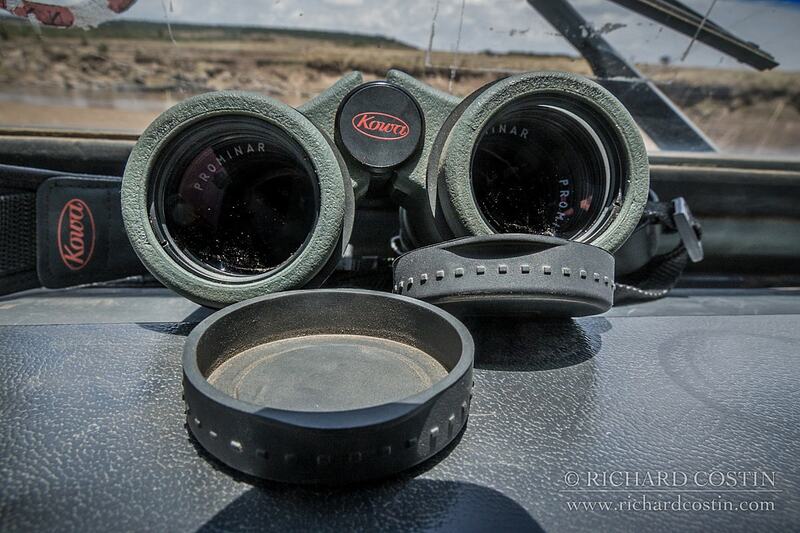 The ‘just right’ rubber armour ensured no sliding along the dashboard as we traversed the plains of the Mara. As I am sure you can gather if you have reached it down this far I really, really like these binoculars. There is very little, if anything to dislike about them and I am pretty sure they will become my main pair of larger binoculars for many years to come. Doing this job, a good pair of high end binoculars really come into their own. There are many brands that may offer slightly better value in terms of nearing the performance of these and being cheaper. There are most definitely some that may be a fraction better but you will page a huge premium for that last 2% improvement, especially with what are classically called the ‘alpha’ brands. To my eye, in comparison to the far more expensive Swarovskis the Kowas actually surpassed them in pretty much every way and still leave some change in your pocket. That doesn’t happen often. 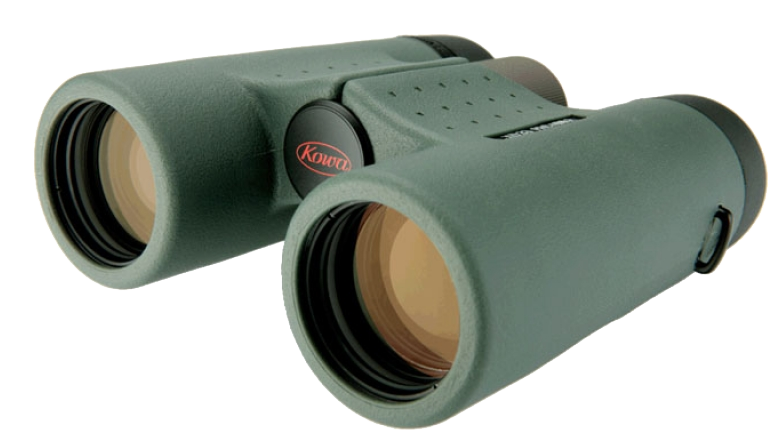 In all my trialling with binoculars (as mentioned I have tried them all over the years) I feel the Kowas offer perhaps the best top end performance to price ratio. You are paying more for the quality but not an additional premium for the name. 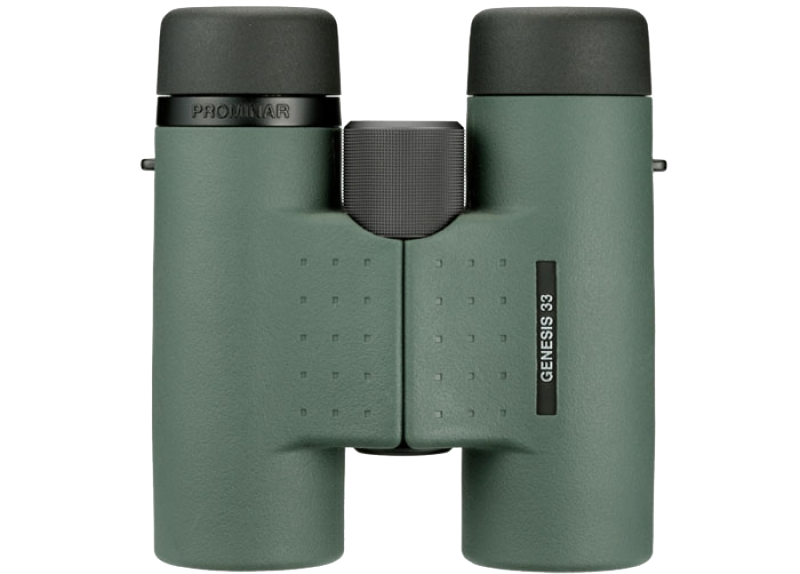 These really do stack up against every x33 binocular I have tried and at worst equal the best. The lack of chromatic aberration is certainly the best I have seen, that is to say virtually non existent even when looking for it. As well built as any binocular you will find. No worries about drops, spills and the like at all. Stunning. The glass is spectacular with best in class chromatic aberration control, outdoing binoculars much more expensive. Extremely bright at twilight, only bested by larger pairs of similar quality. Not cheap and certainly in the pricey range, but they at least keep up with and sometimes surpass the alpha brands costing much more. These will last a lifetime too. Genuinely having to nitpick here. I would love the same drop down cups on the eye pieces as are on the far end. No one seems to do this so perhaps it doesn’t work well? Errrm…. if you don’t like green your are out of luck. For my (demanding) needs, almost perfect. If I am spending this kind of money on binoculars I expect them to be well made, perform very well and last me practically a lifetime. These tick all those boxes and the lack of ‘brand name tax’ makes me tingle inside! This is possibly the highest score I have given a piece of gear. Kowa have made a real winner.